What is your retro computing most "irrational want?" An Apple IIe with a disk drive. It's irrational because I'd have nowhere to put the damn thing. I have a bunch of those old magazines and they were heavily advertised. I'm looking at an ad right now and the specs are very impressive. While the PMC-80 was an inferior knock off of the Model III, the LNW80 had incredible specs. 4 mhz, 80 column, high res b&w and color, more keys, compatible with the Model I Level II, etc. Even more impressive is the system with one drive and b&w monitor is listed at $1,914.00, which is about $250 less than the Model III. You would think they would have sold well, but I've never seen one in person either. 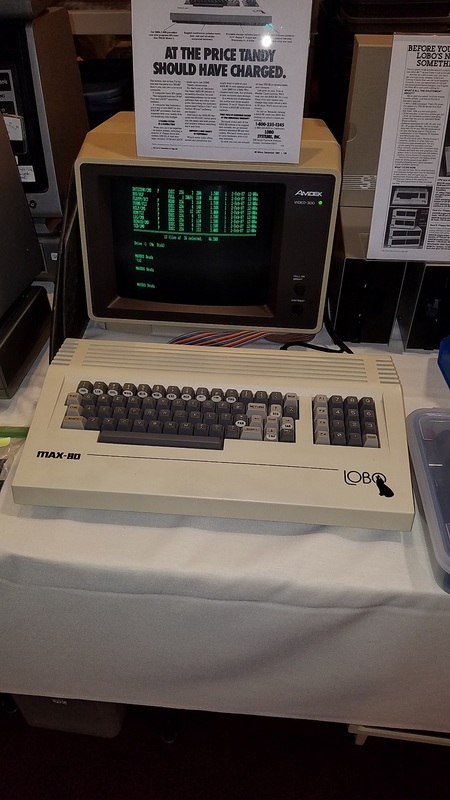 I'm attending Tandy Assembly this weekend, it'll be cool if someone has one on display. I also see the Intertec Superbrain computer advertised a lot in those magazine. I want one just for the looks and name. Oddly those are fairly common on eBay and usually sell for under $200. I'm not sure they sold assembled units. You would have had to build it yourself. I did buy the LNW Expansion interface, but it was just a bare PCB with a parts list. The advantage over the Radio Shack expansion interface, was that you could build it one section at a time. In this way I was able to add memory, a printer interface, a serial port, and a floppy disk controller as I could afford it. I found a fiberglass case for it from a third party. Their full page ad in the July 1981 issue of 80 Mircocomputing does list a complete system. The 1,914.00 price includes a 10 day full refund and 6 month warranty. Lower down, they do offer many components including bare boards for those who want to build their own systems. And yes there was one at Tandy Assembly! It's a very cool looking system. It's not exactly on the home made level, but doesn't appear mass produced either. Being made of steel with rough corners, exposed screws, off the shelf toggle switches, it seems more like a small company building them by hand in a small facility. I never did see anyone around that display so I wasn't able to ask questions. I'm guessing it needs a bit of work as many of the keys were depressed and not rebounding. This Lobo was one of my favorites. Seemed really fast and can also run CP/M. When powered on, there's a tiny yellow light for the worlf's eye! I thought DAI was a run of the mill Apple ][ clone, but perhaps I'm mixing something up. Still, it could be a worthwhile irrational want. No, its a very rare 8080 machine which I only saw in the wild once, in the window of a closed shop. Ok. A friend of mine had a surplus DAI a couple of years ago. I believe he didn't think much of it so it could be had cheap in untested condition. Irrational want? An X68000 would be nice. You read my mind! I so want one. There's only one on ebay atm and it's around $600... still too much. Edited by TravisHuckins, Tue Nov 13, 2018 8:41 PM. Those were nice machines. I used to sell them. I probably should have bought one myself. You'll probably be kicking yourself in a few years when the same machine goes for north of $1000. At the moment, a MicroAce. Absolutely pointless machine when I already have Timex 1000, ZX81, and ZX80 systems (themselves already pretty pointless, ha...or at least redundant). Especially considering how rare/$$$ they are. On the more sensible end of irrational Sinclair-related desires, though (again with the redundancies! ), one of those system enclosures with a mechanical keyboard would be really cool. 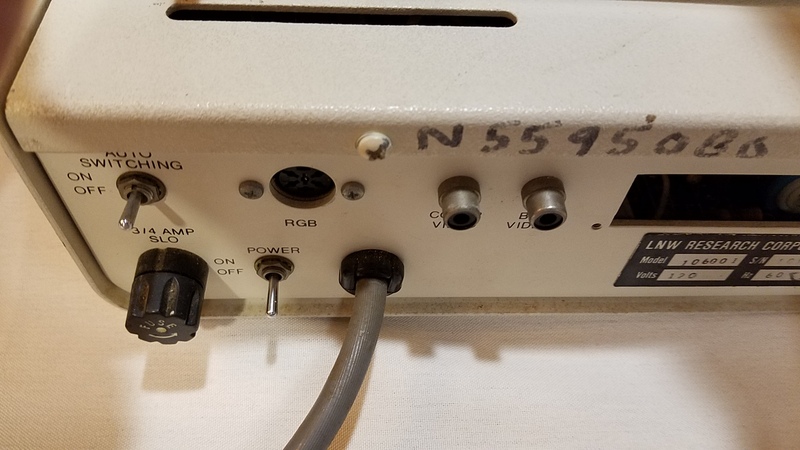 Was the MicroAce one of the few US made pirate computers, or did they eventually obtain proper licensing from Sinclair Research? If the former, it is rational enough to desire as usually we're thinking Far East Asia or Russia when we discuss pirated computer clones, not America. Those are my "out of there" wants. The 4000 especially since they didn't sell many of those, if any, where I live. Most studio stuck with the A2000 for titling and toaster needs. A new Atari 8bit setup. The one I got rid off was a missmatched set of ebay auctions. I want a minty 800XL with a pair of 1050 with new belts and alligned + happy, a working 1010 with new belt. A new C128 keyboard. Not a D or CR model, just the plain old regular wedge replacement keyboard. Not new as in unused but just one in perfect working condition. It was, although I think "clone" would be a better descriptor than "pirate," rather like the Franklin to the Apple II. The MicroAce ROM was functionally identical to the ZX80 ROM but technically not a direct copy (although, admittedly, the differences are pretty flimsy). It also provided for internal expansion to 2K (as opposed to 1K), which the ZX80 did not. 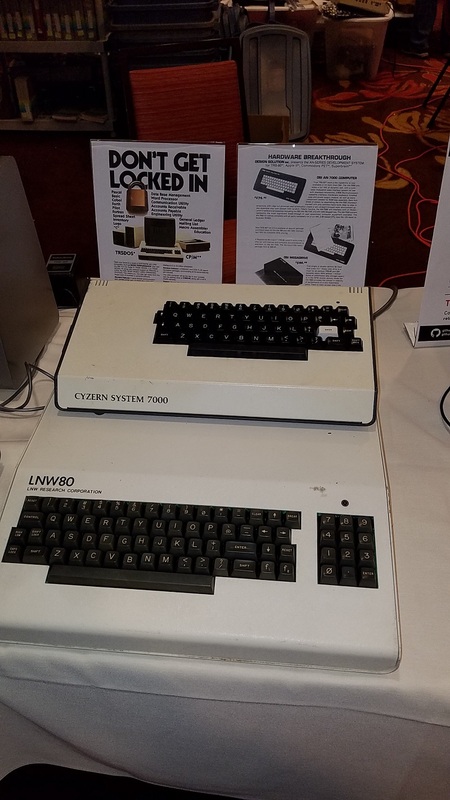 The keyboard, though, was what gave them up when Sinclair took them to court--the judge could see with his own eyes that the MicroAce and ZX80 keyboards where identical. I still want a WICO Command Controller for the Intellivision. It's probably irrational since a Disc is part of the experience of playing the INTV, and most people agree that the WICO Command Controller is less enjoyable. I know... I already have one. I just want another one based on the hypothetical situation that I am playing INTV with a guest and both players want joysticks. All seems pretty unlikly, yet the desire persists. Well, maybe not, but one problem you might like to consider is that Amstrad made it the same way than they did the CPC; mainly, that the power supply is in the screen. If I remember, both keyboard and mouse use PS/2 like connectors but are also Amstrad-specific. So they are hard to come by because usually people would get ride of the screen after forgetting its needed to use the computer. There's an open box C64 Mini on Amazon for $32 calling to me. I don't have any particular affection for C64, other than the era, but I like mini consoles and I like bargains, too. I know it's not a great emulator and that I can build something nicer on my PC, but $32! Shipped! Wow. I always wanted a Lynx. They looked so awesome when they were announced. But alas the dream was not to be.